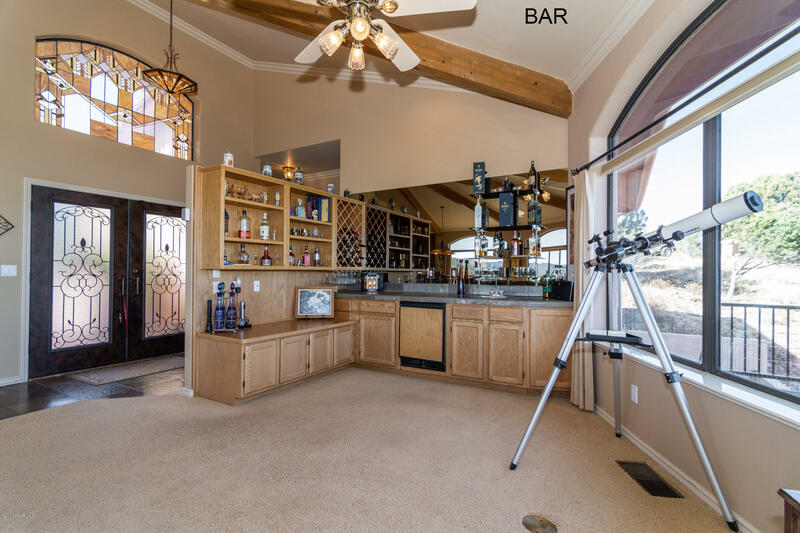 The bar area in the great room provides a great area for relaxing or entertainment with friends, family or just your spouse. 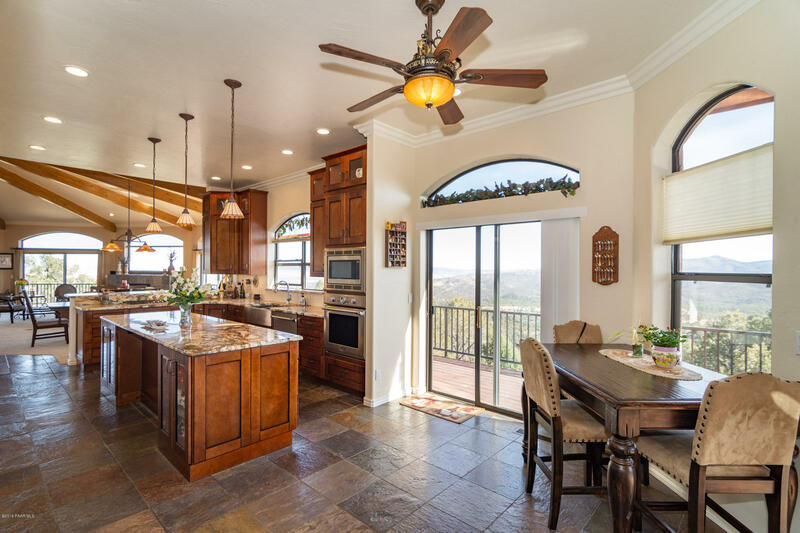 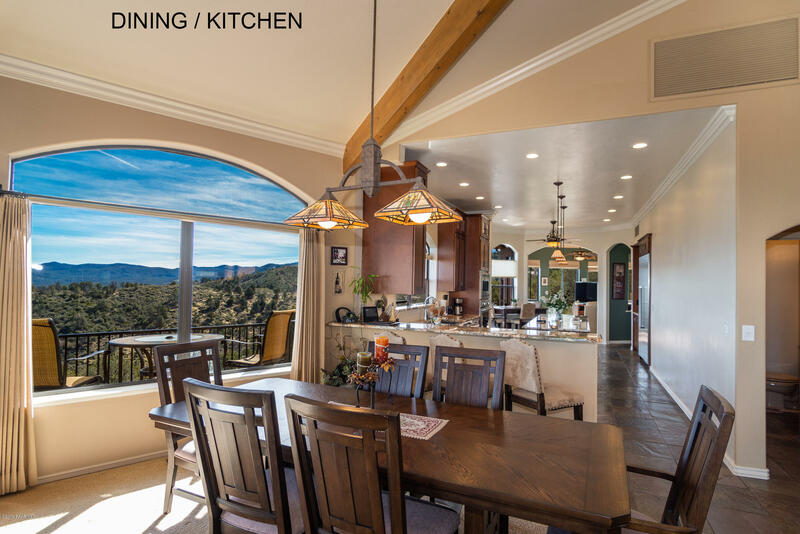 The kitchen is brand new and provides openness so you can stay apart of the conversation while cooking. 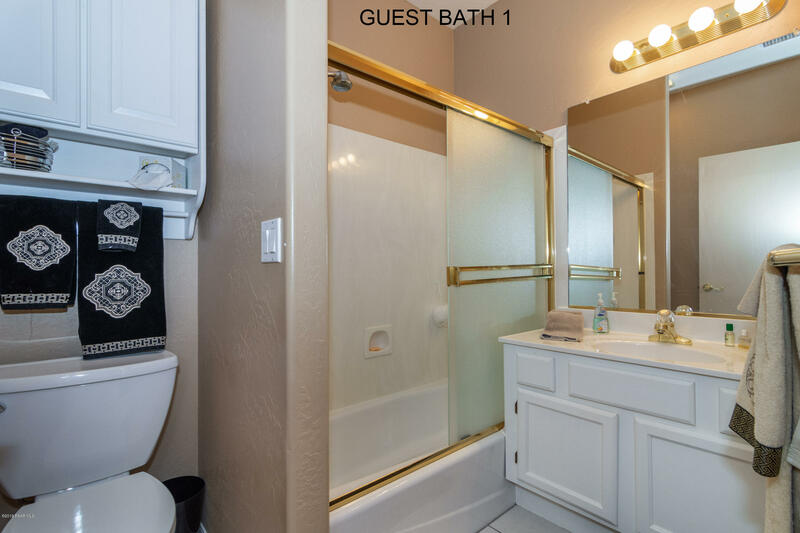 You will enjoy all new, high grade, stainless steel appliances, granite counter tops, hood-less venting stove and large pantry. 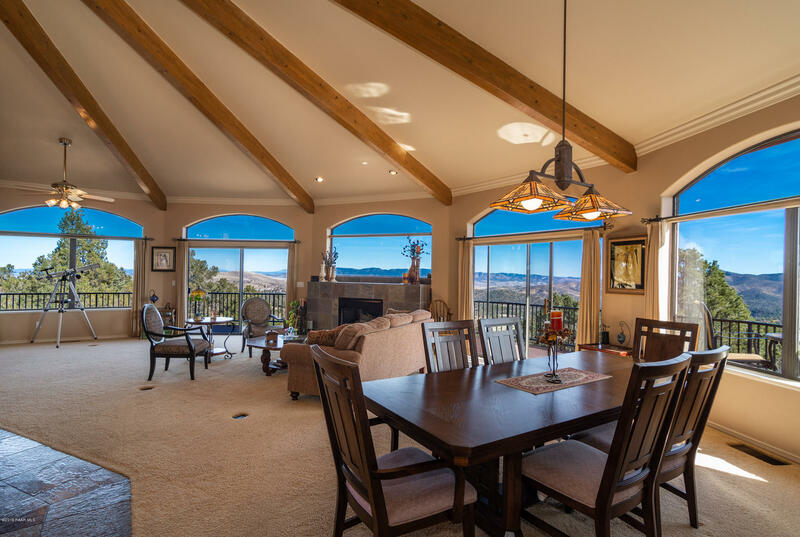 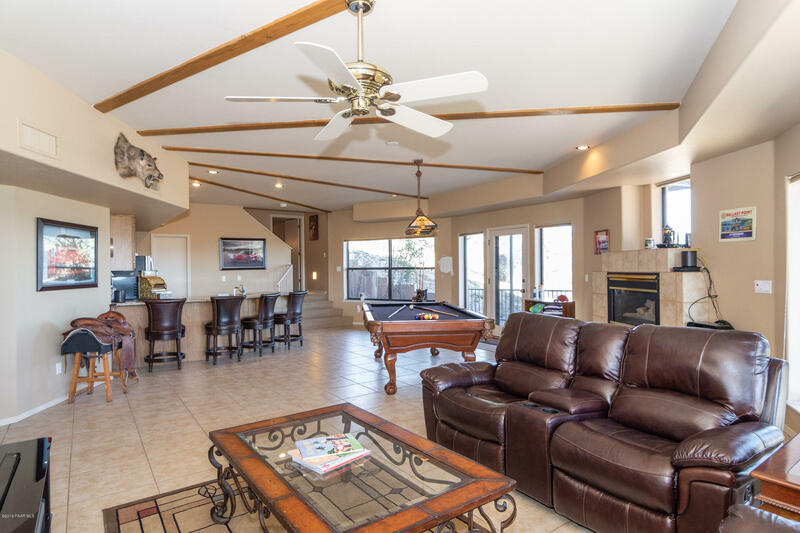 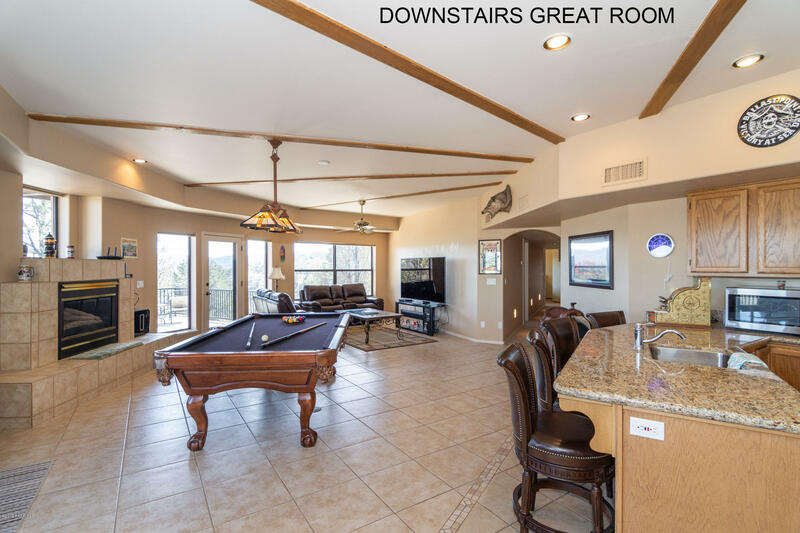 The sitting area just to the south of the kitchen is a great area for lounging while watching a game, reading a book or just taking in the Bradshaw Mountain views. 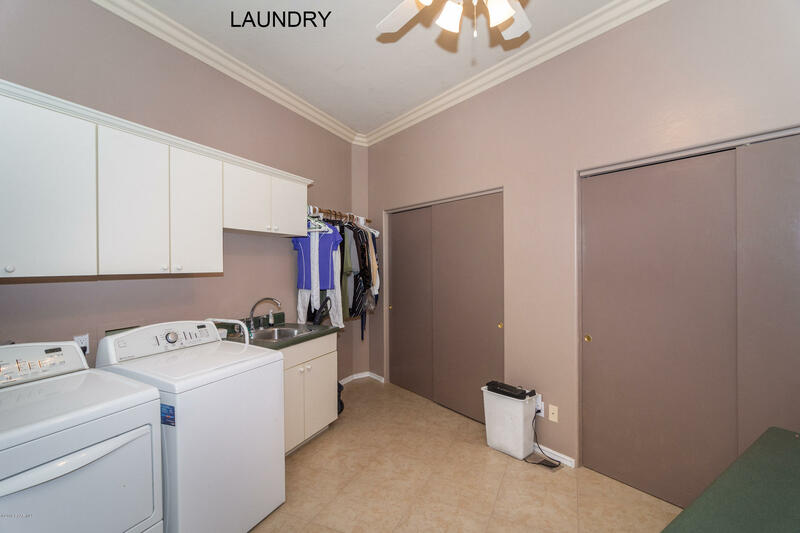 The laundry room is huge and offers great storage and an area for a sewing/craft room as well. 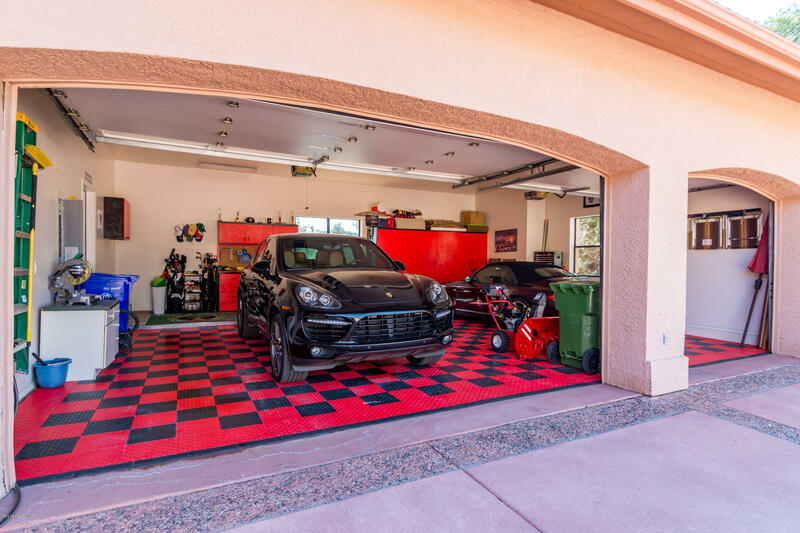 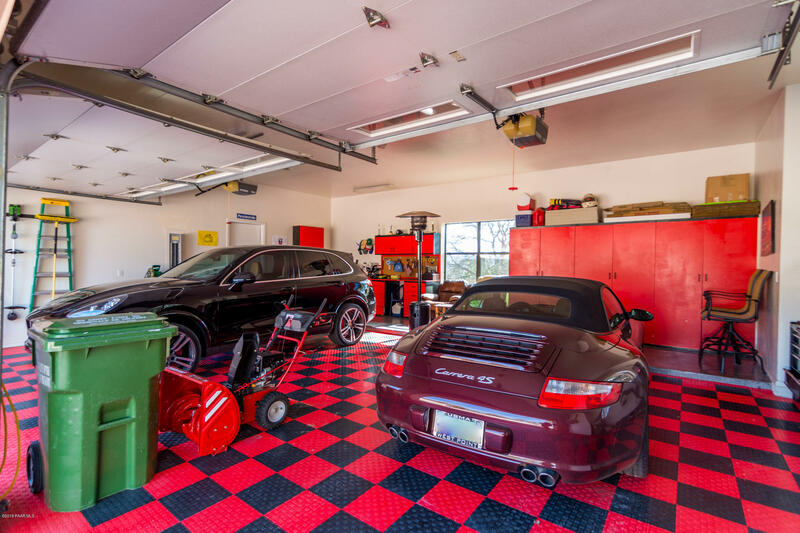 The 3 car garage has great space for your vehicles and toys and has lots of natural light if you enjoy working in the garage. 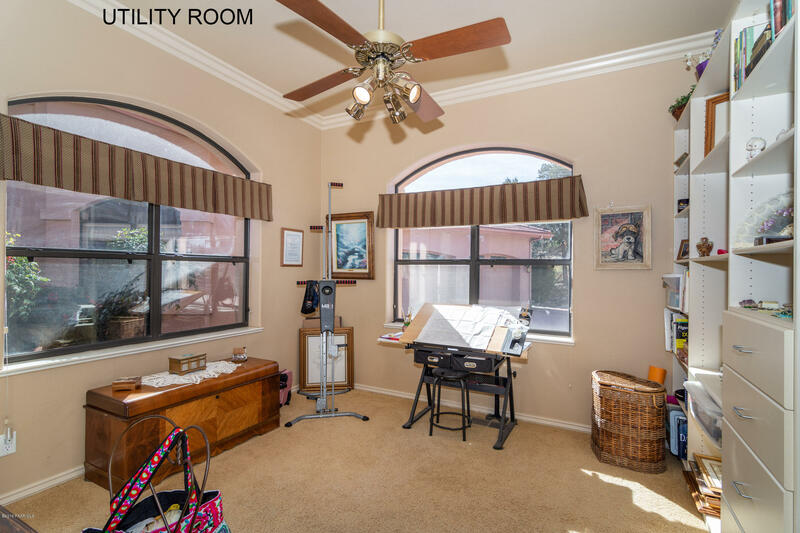 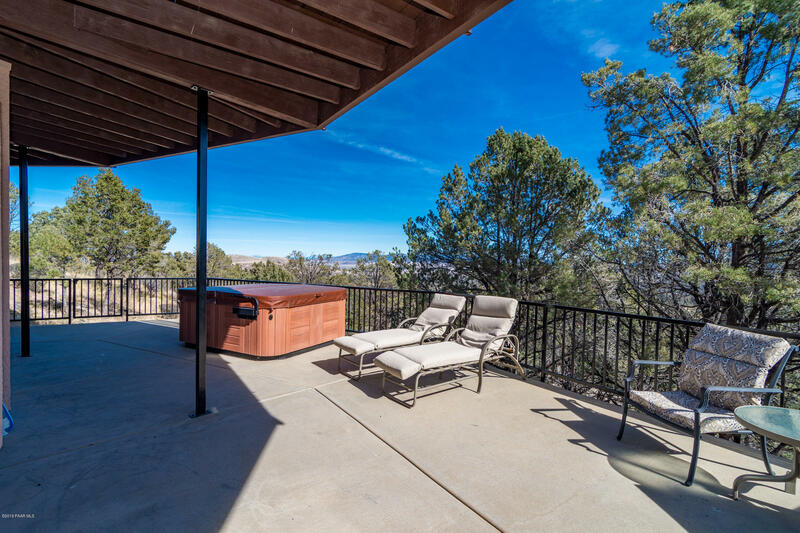 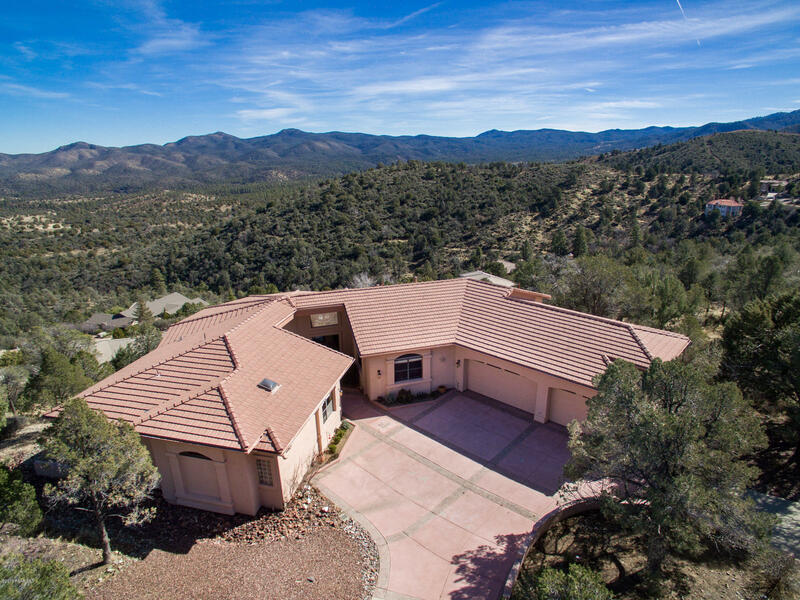 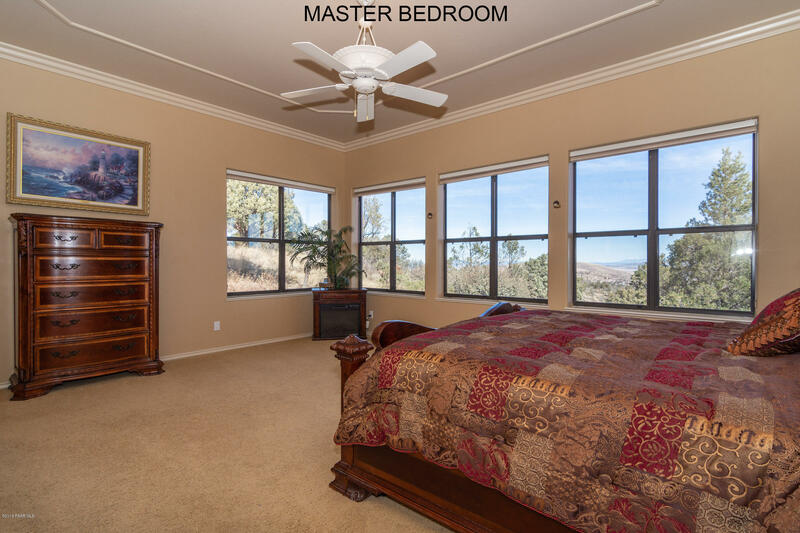 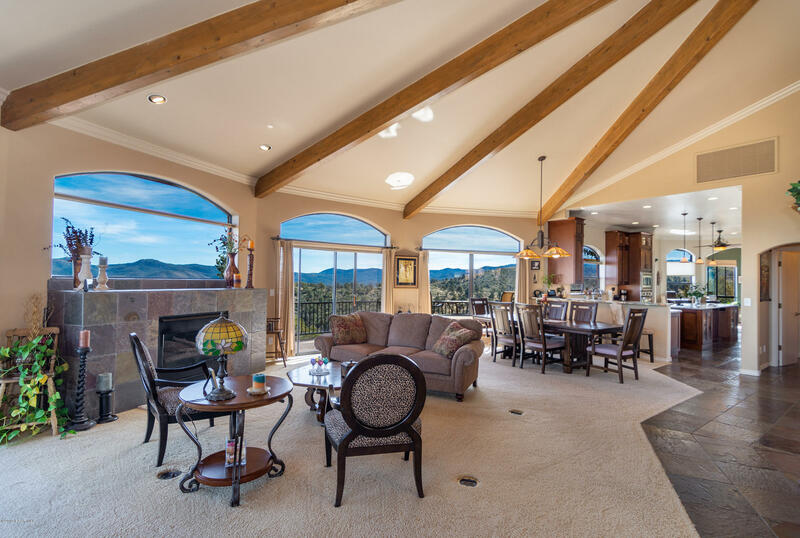 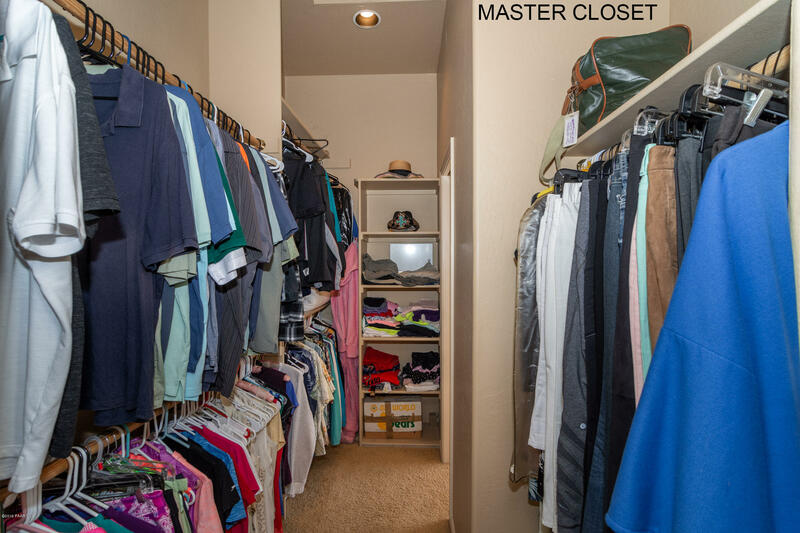 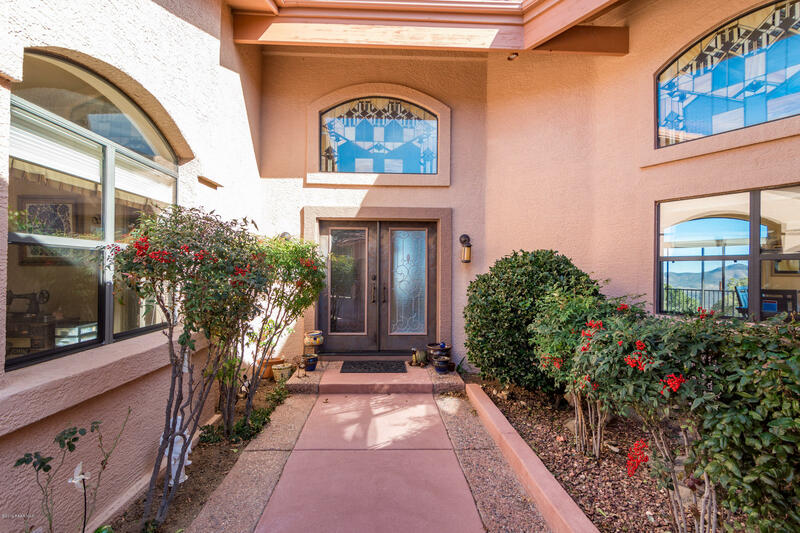 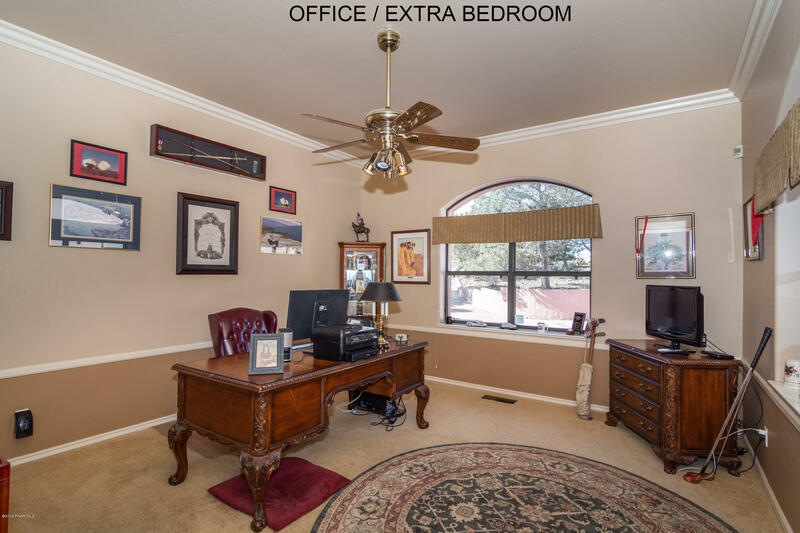 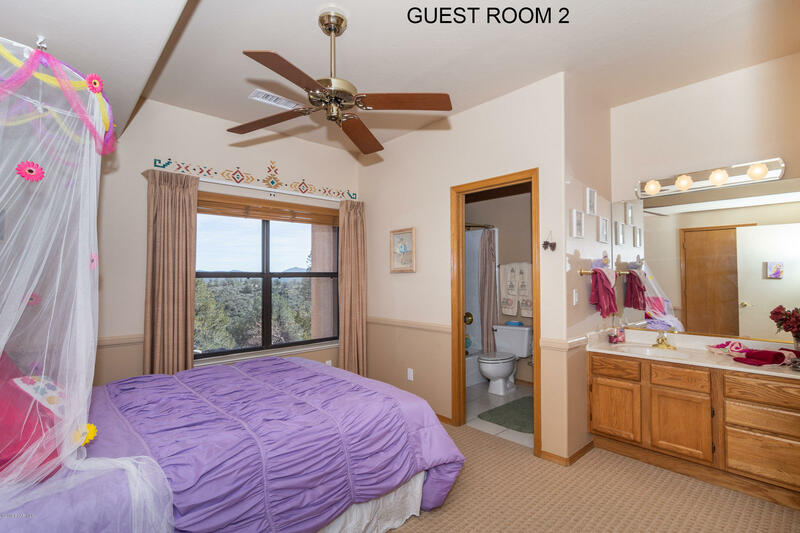 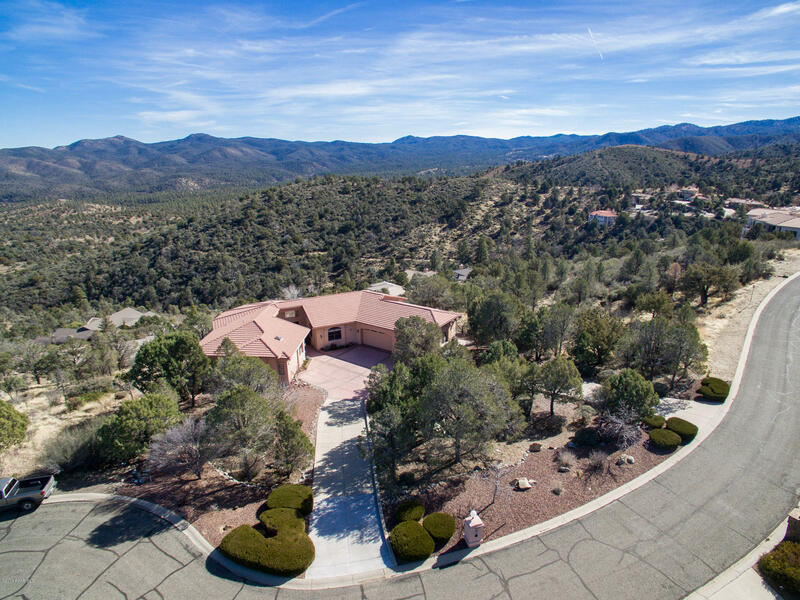 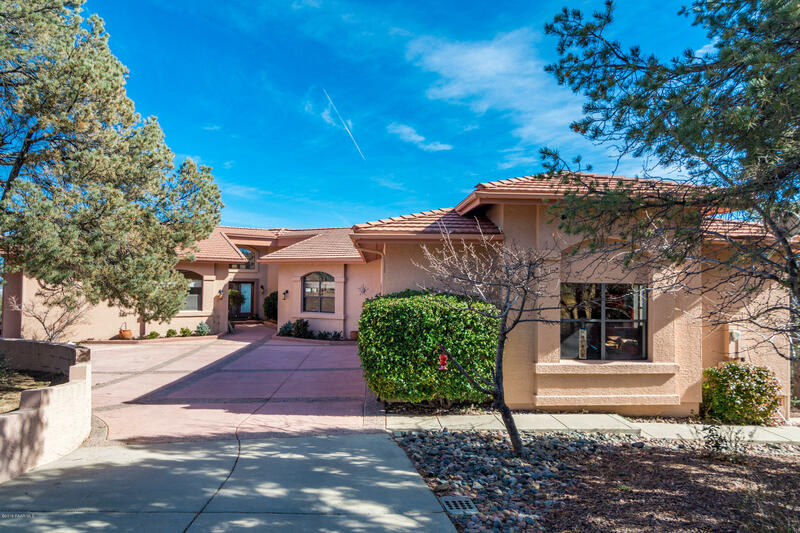 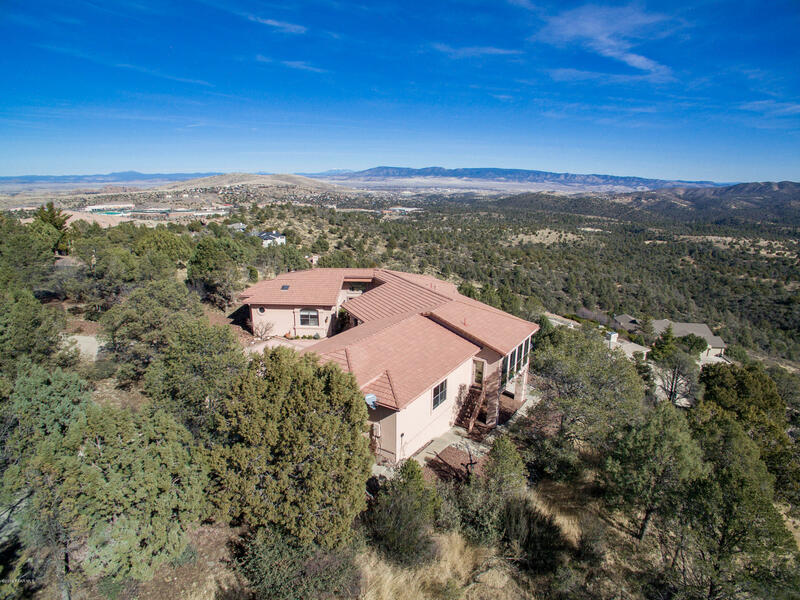 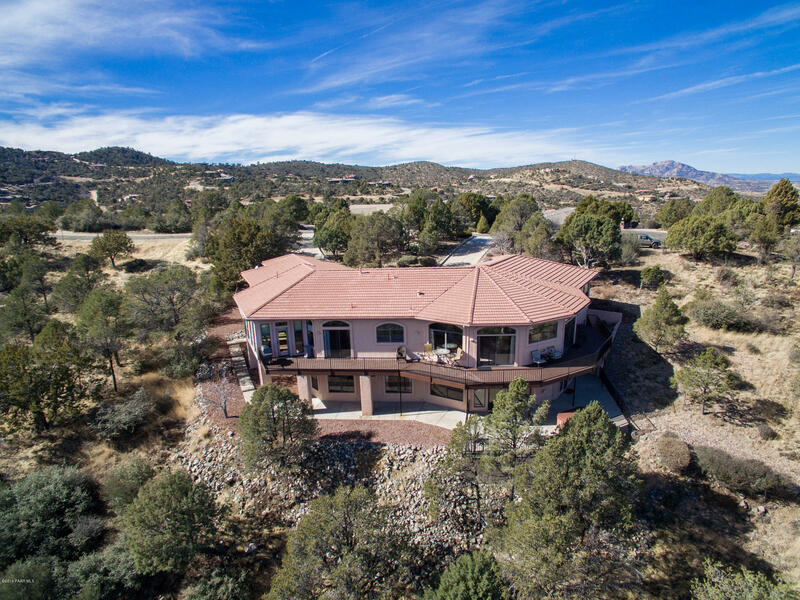 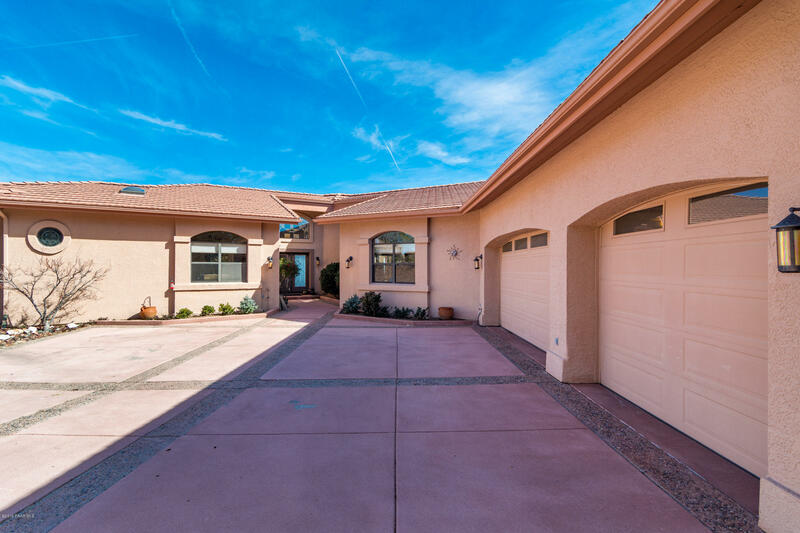 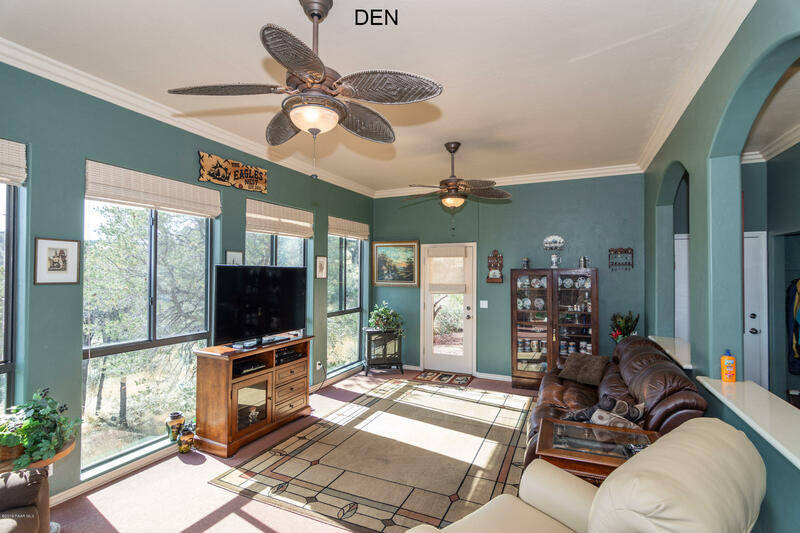 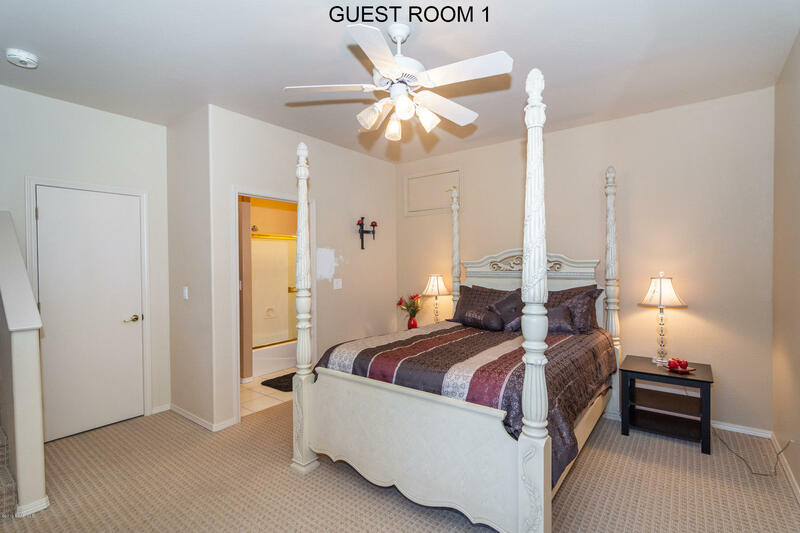 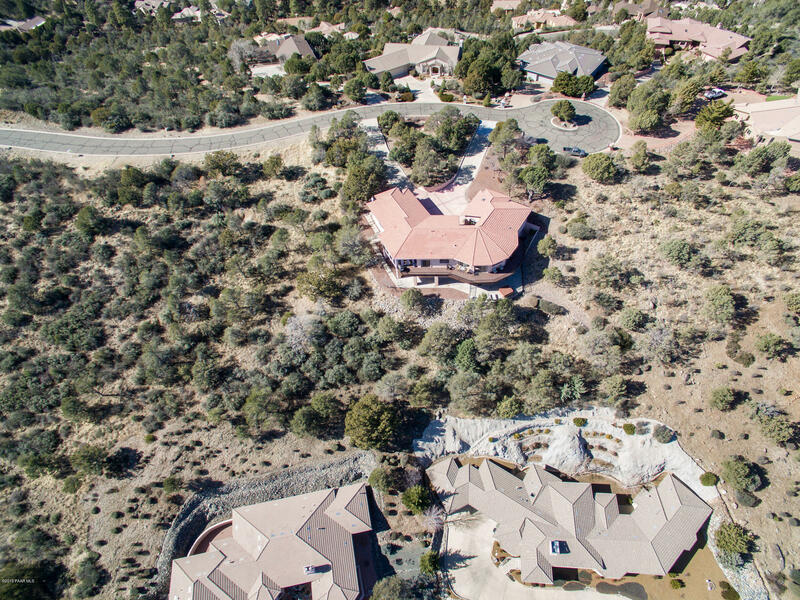 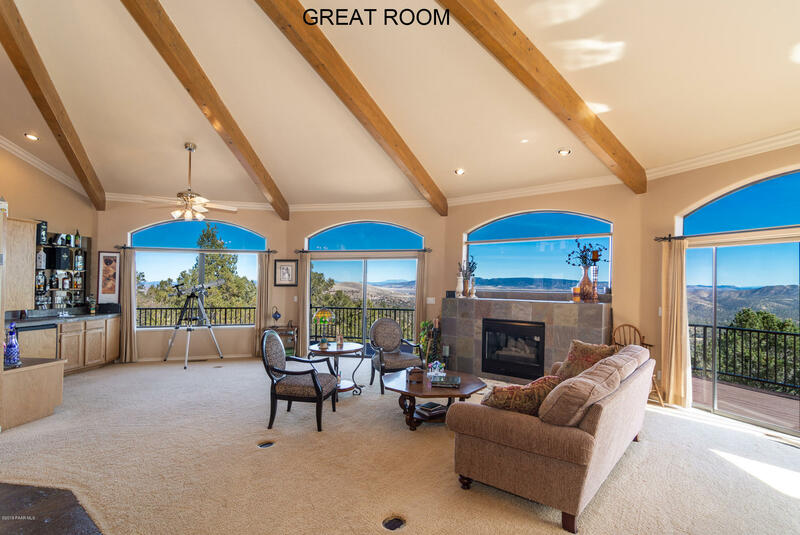 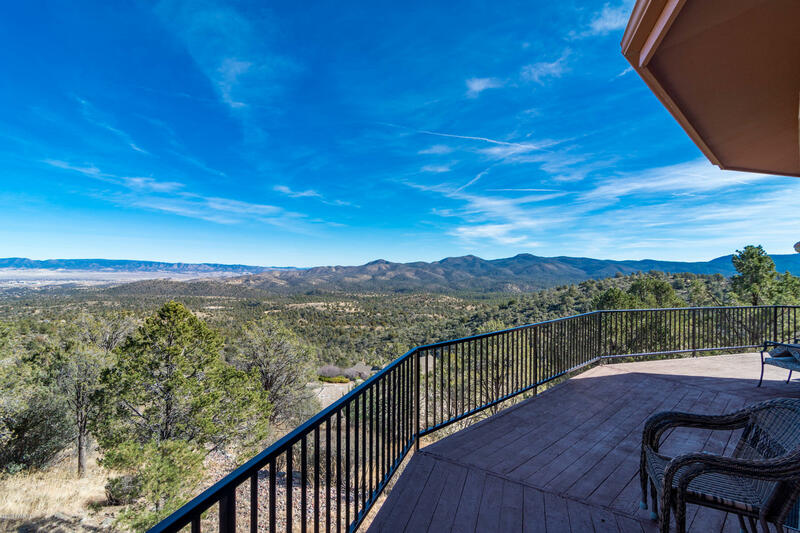 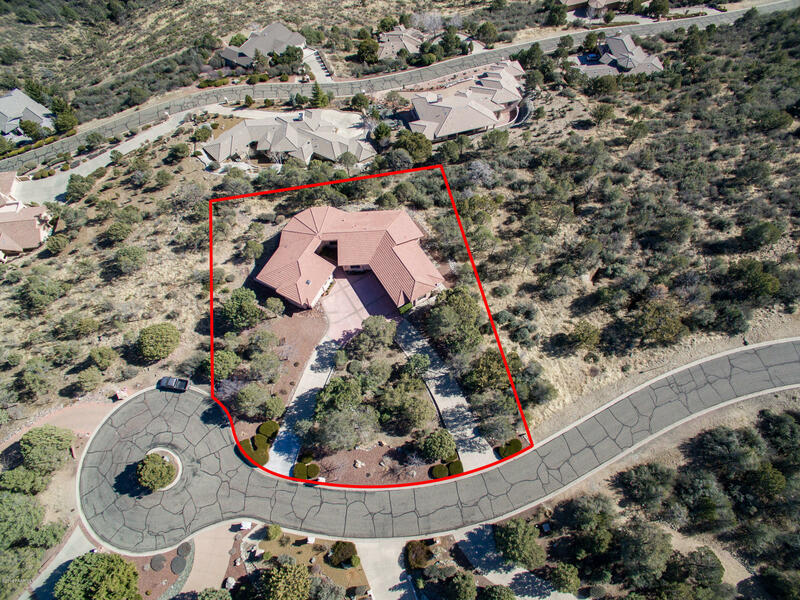 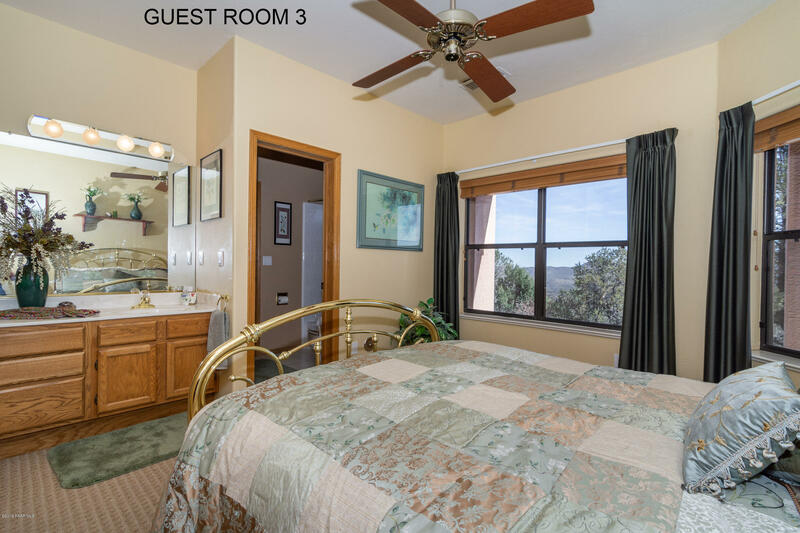 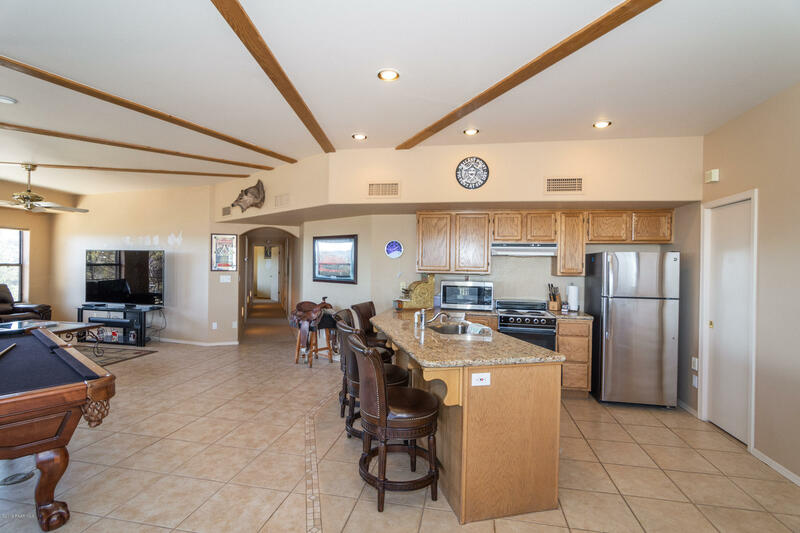 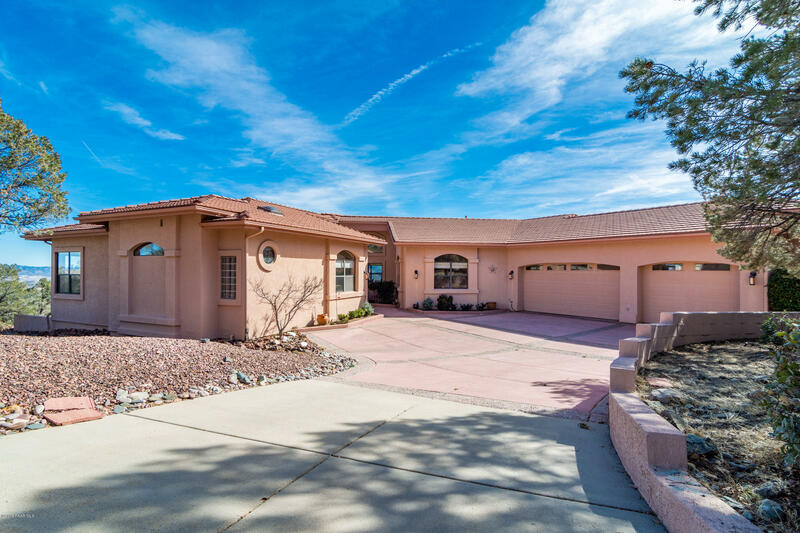 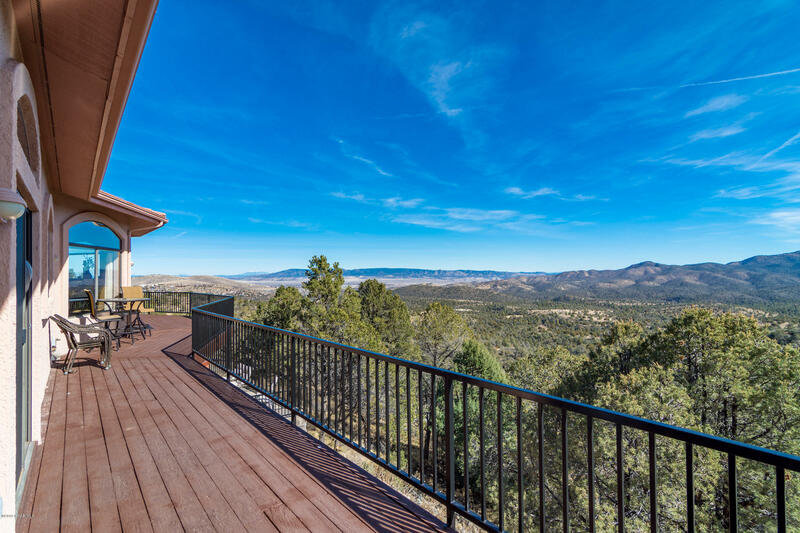 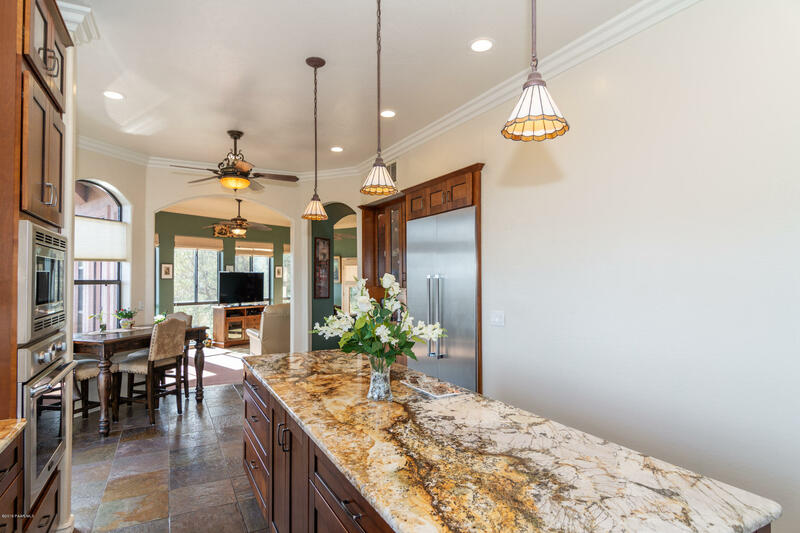 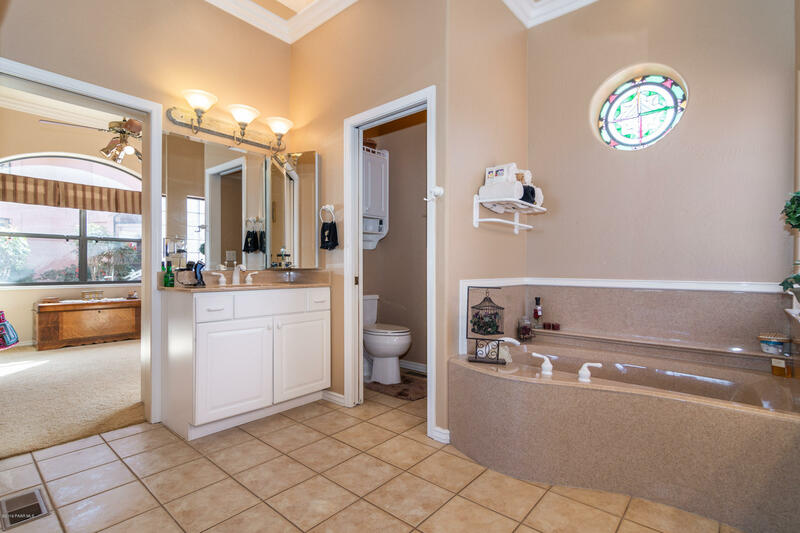 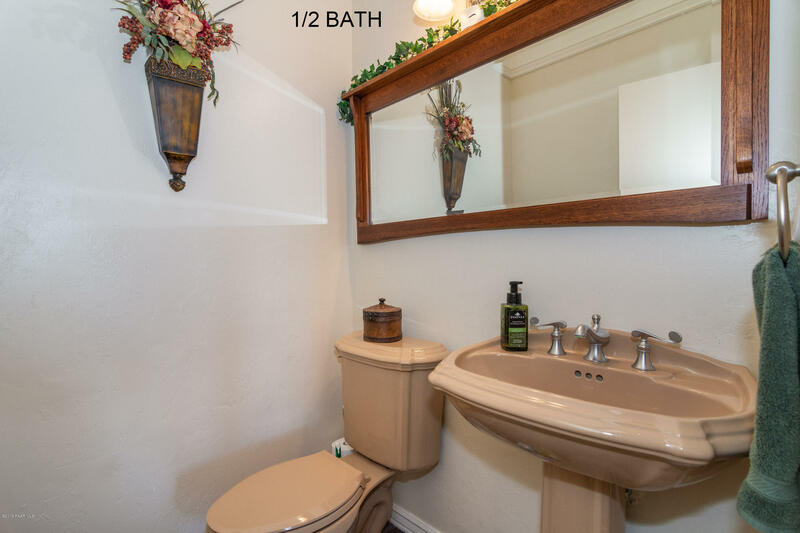 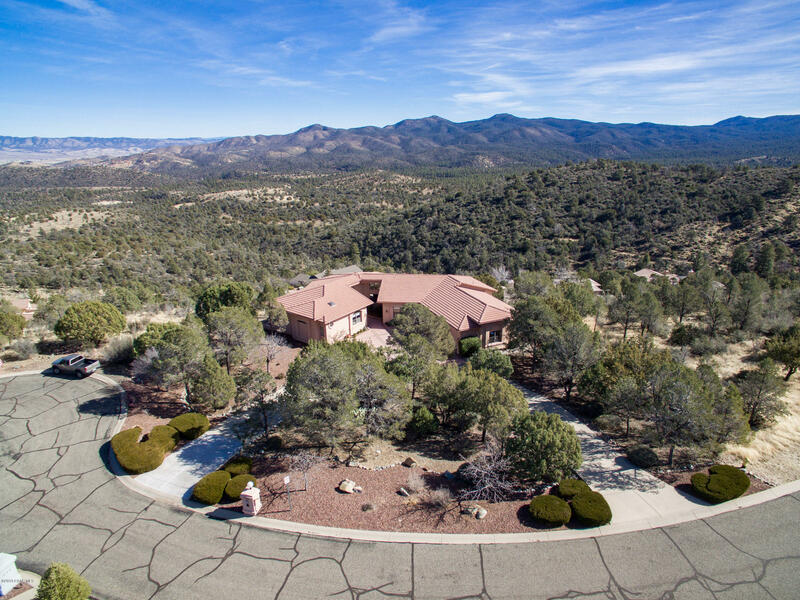 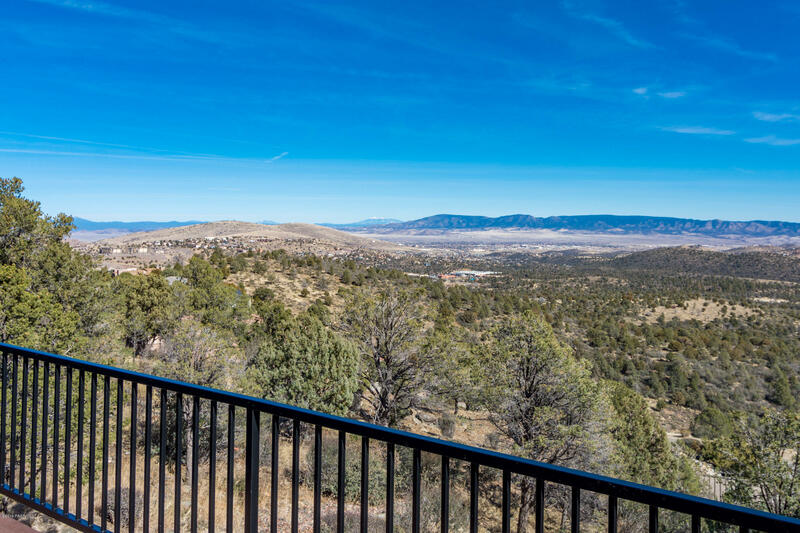 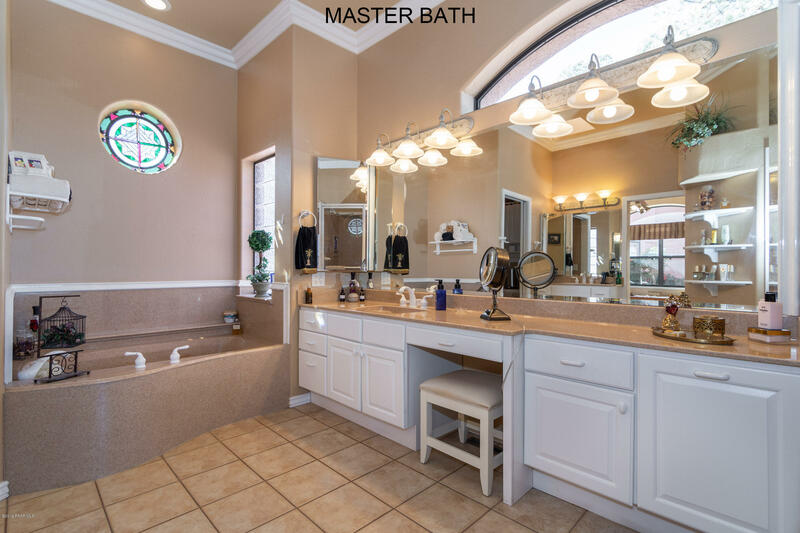 The master bedroom is large with crown molding on the ceilings, great views of Northern Arizona, an amazing walk in closet with a separate attached area for another hobby room or office, the master bathroom provides a garden tub, double vanity sink with powder area. 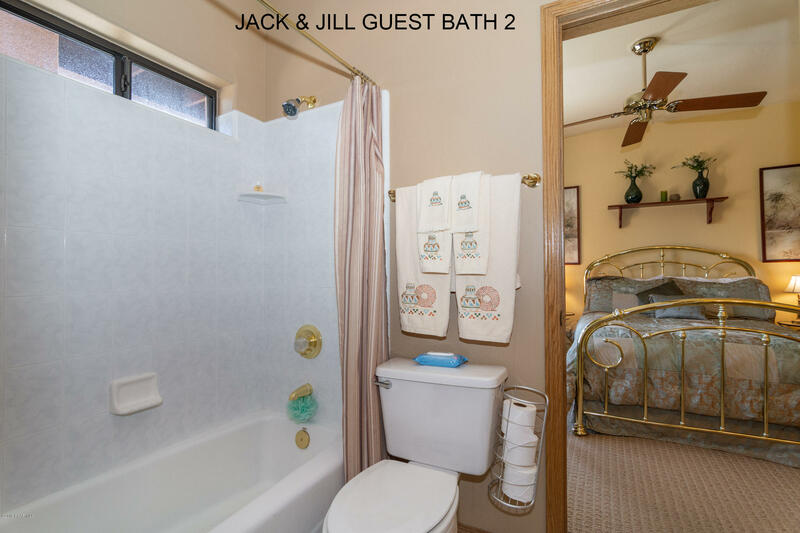 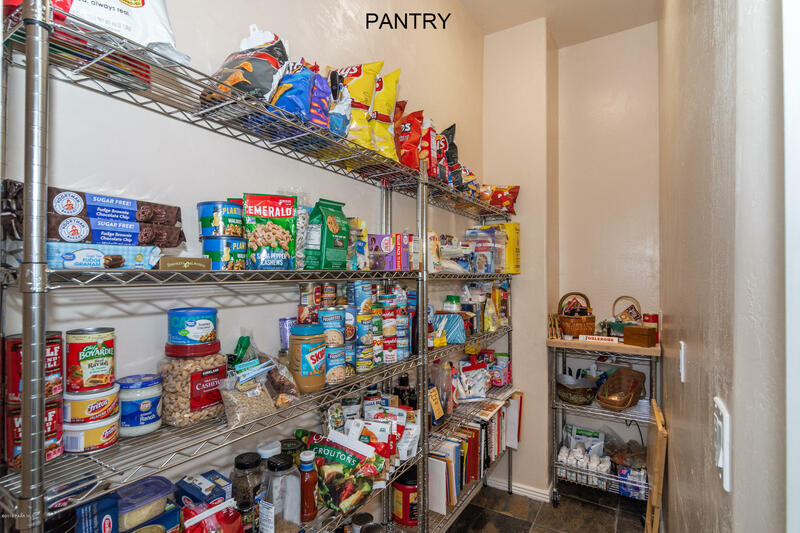 The downstairs of the home is basically a separate home providing a kitchenette, huge living room, lots of storage and 2 spacious guest rooms with a jack and jill bathroom setup. 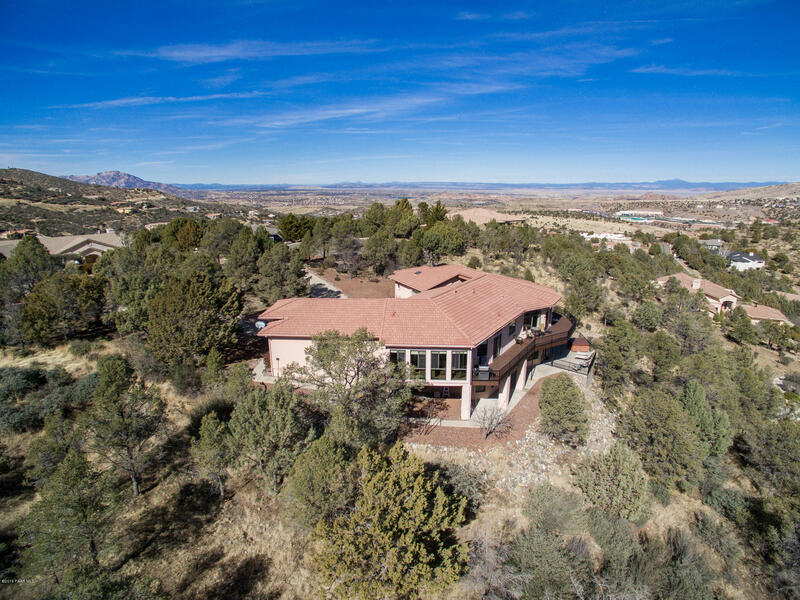 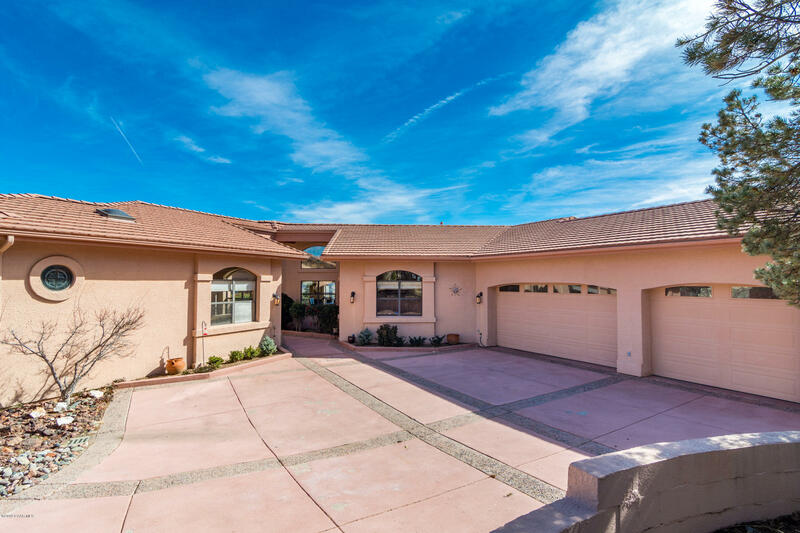 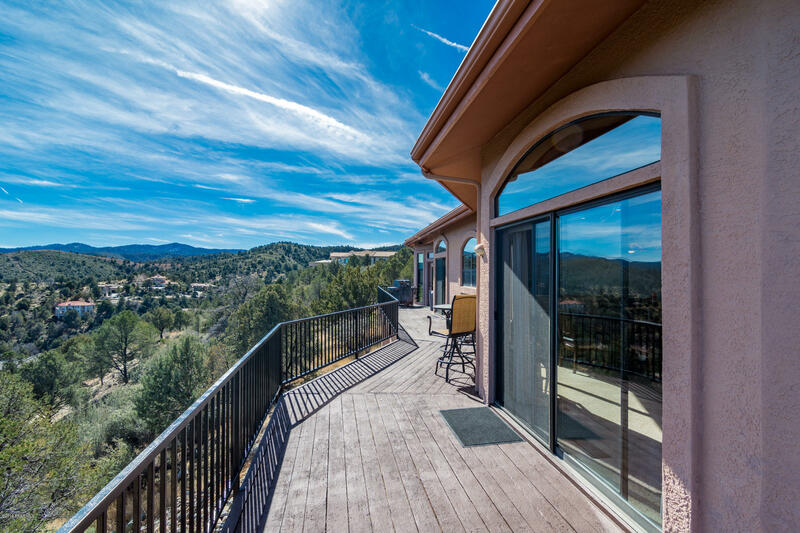 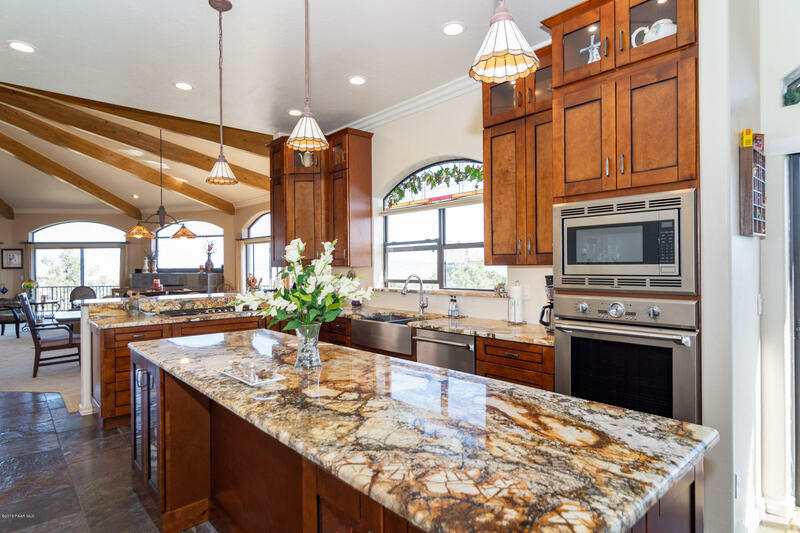 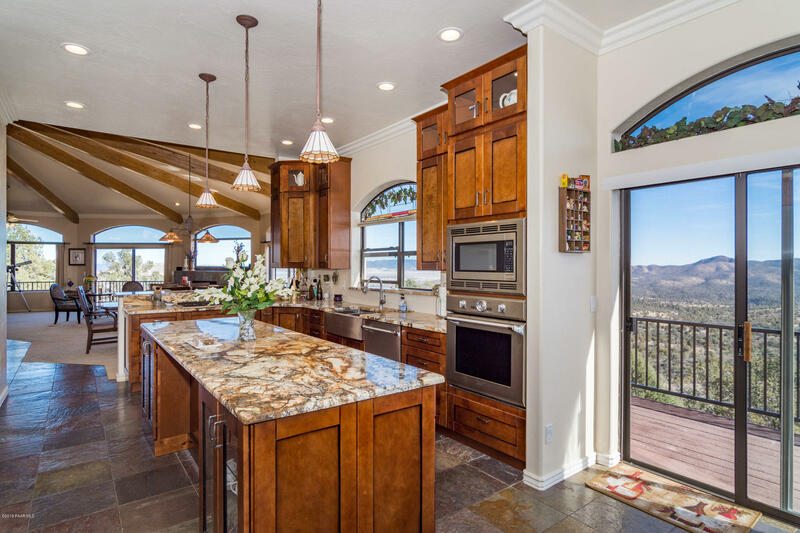 This home truly has it all and it will be hard to find another with the views, quality features, level drive way and privacy that this home offers. 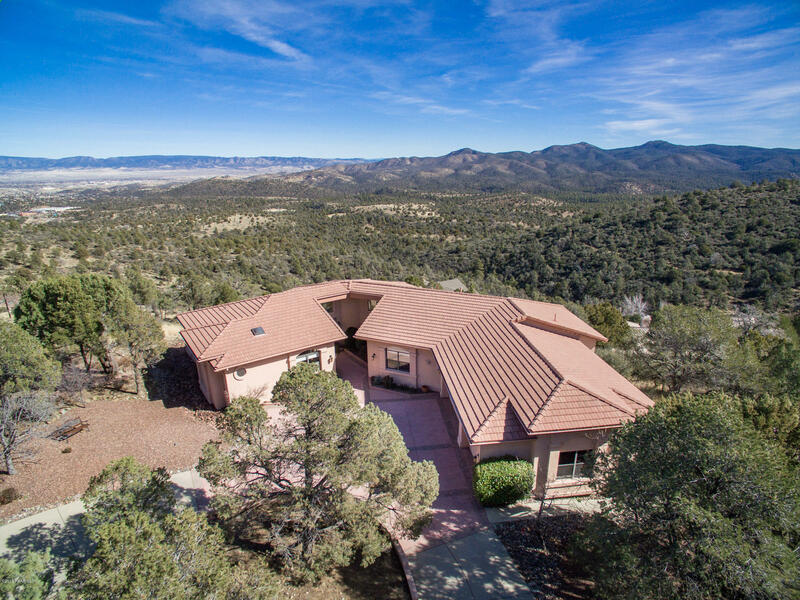 Come see this beautiful place for yourself!